He’s a famous Hong Kong feng shui master with a keen interest in horses and Lee Shing-chak has given an insight into how he applies his art to the city’s most popular sport. Feng shui, which is also known as Chinese geomancy and originated in China, is about living in harmony with your environment and can be applied to many aspects of life. With the Lunar New Year race day at Sha Tin on Thursday, Lee has some advice for those trying to get their Year of the Pig off to a flying start. “In the universe, there are five basic elements – gold, wood, water, fire and earth,” said the 50-year-old. 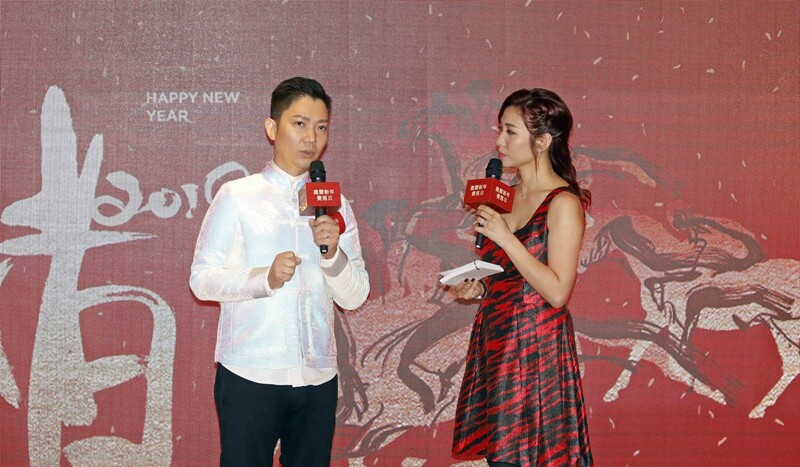 “On the Lunar New Year horse racing day, wood will be strong according to the operations of the five basic elements, but if we want to channel it to have good fortune, we need to apply it through the help of gold. “Therefore, wearing a costume in white, gold, silver on that day will help. In the Chinese zodiac, people who belong to the monkey, snake, dragon, rooster and ox can make good combinations on that day. “In numeric operations, numbers seven, two, six and one are all very strong on that day. Of course, the horse’s ability will come first, but we must also study these numbers if we want to see any surprise results. Lee has been involved in a number of syndicated horses in Hong Kong and has four-year-old Best Sense at the moment, which had its first start on December 2 last year. Unfortunately the gelding finished last, but Lee said he collected over HK$700,000 in winning bets on the day. In horse racing in general, Lee says he takes into account the behaviour of the elements on any given day, as well as the form. “Any change to the five elements, weak or strong, on a particular day will affect everything on earth and we can make the most of it in horse racing,” he said. “We will apply the change of these five elements on a particular year, month and day in accordance with feng shui statistics in horse racing and I have been doing this for almost 20 years. “Of course, the ability of the horse, the trainer’s skills and the horse’s work and pedigree are also important to the result, but luck also plays a role – such as obstruction by other horses, wrong footing and kickback during racing. “When the horse enters a race, you can choose the distance, look at the weather forecast and gather information about the condition of other horses. The training of the horse and the jockey’s ability are also important factors. Lee is looking forward to the next time Best Sense runs and says horse ownership is a family affair and a fulfilling pursuit. “My two-year-old daughter likes unicorn’s very much and sometimes even asks me to pretend to be a horse for her to ride,” he says. “Nowadays, the Jockey Club allows its members to bring children to designated areas to enjoy horse racing, making both me and my daughter very happy. Huang Xiangmo and Meng Wanzhou today, any other Chinese tomorrow?